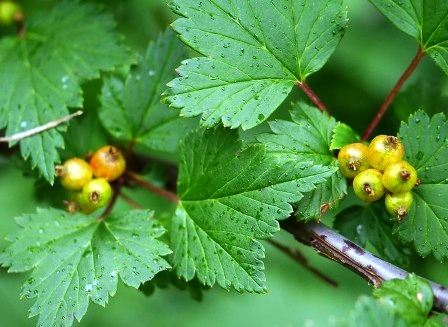 Himalayan currant is a fruit from very cold regions. It occurs throughout the Himalayan region of Pakistan, India, Nepal, Bhutan and east to the mountains of West China. This is a high altitude plant starting from 2200 m and going upto 4200 m.
The fruits are edible but not of good quality as these are bland in taste. 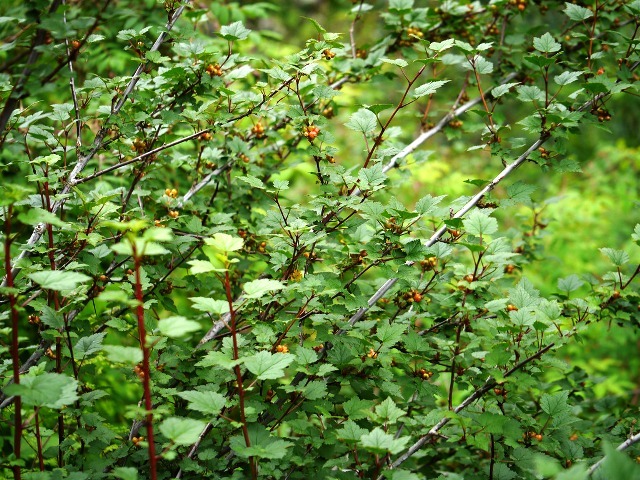 Himalayan currant has not been brought under cultivation yet. Dioecious shrubs 1-2 m tall, with glandular hairy shoots. Leaves1.5-3.0 cm wide with shallow rounded lobes with crenate margins, and usually covered with sticky glandular hairs. Flowers borne in erect racemes, 3-5 cmm long, borne terminally and laterally, mostly on previous year’s wood. Fruit clusters which are more lax, have 5-14 berries; fruits globose, about 5-6 mm in diameter and often insipid. In Pakistan, there is also one more type whose shrubs are relatively stouter and the leaves and fruits are larger (10-12 mm wide). The fruits of this type are not insipid. Himalayan currant fruits are eaten by local people. At some places, fruits of the larger type are sold in the market as currant and are also used in processing in place of currants. Himalayan currant fruits are collected from wild only as the cultivation of this fruit still not started. However, one may find plants of Himalayan currant planted for specimen in the orchards of some research stations and botanical gardens.